Ask any competition or 3D Heli pilot what their servo of choice is, and you’ll undoubtedly hear “JR of course”. 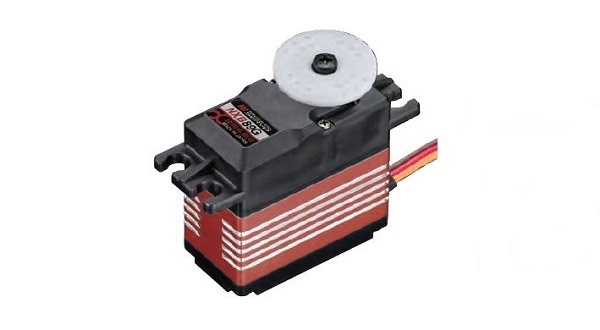 This isn’t by accident- JR servos like the legendary 2700G and 8900G have provided the perfect blend of brute strength and precision, with unmatched reliability for decades. In keeping with this tradition, JR has just released their next servo that is destined to be their next legend in helicopter tail servos, the new NXB89G Ultra Speed Brushless Tail Smart Servo™. Not using XBus- fear not. The NXB89G also features JR’s unique automatic output detection, so it can be used in standard configuration with either conventional (PWM) or XBus installations for ease and flexibility with virtually any brand of equipment. If you’re looking to take the performance of your model to unprecedented heights, take a look at the new NXB89G servos from JR and feel the difference the new JR NX Smart Servos™ can provide.